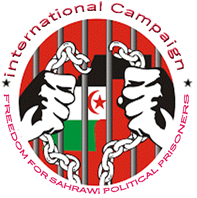 London, March 4, 2017 (SPS) -The Polisario Front, only legitimate representative of the Sahrawi people has become a consultative member of the Socialist International (IS) association after being an observatory member 2008, representation of the Front in London announced. "Despite Morocco's attempts to put obstacles to this new status, five of the eight members of the IS ethics committee granted the consultative member status to the Polisario Front, representative of the Polisario to the UK Mohamed Limam Mohamed Ali said. The IS ethics committee met in Cartagena in Colombia to examine the request made by the Polisario Front on the eve of the 25th Congress of the IS which kicked off Thursday with the participation of a delegation representing the Sahrawi Arab Democratic Republic (SADR), led by Foreign Minister Mohamed Salem Ould Salek. The IS Committee meets on the eve of each congress to examine accession requests.